I had coffee with a new friend the other morning. She was asking me about where I had lived and traveled.“How many countries have you been to?” she asked.“I don’t really know,” I mumbled, trying to shake the sleep from my eyes.“Still,” she responded cheerfully. “It must have been quite an amazing journey for you.”I agreed it had.“What do you think you’ve learned?” she asked. What did I think I’d learned? The question rolled over in my cobwebbed brain. It was 8:30 a.m. I’d stayed up working until 1 a.m. and just dropped off my son at soccer. I’d yet to have my three cups of coffee. I preferred not to think – and certainly not think about “learnings” – under such grave conditions. Clearly, I was not being much of a friend. But anyone who knows me well knows that I am the worst breakfast date ever. My two-and three-word answers that morning confirmed this yet again. I just don’t think the world should really start until somewhere around lunchtime. “Um, yeah, let’s come back to that,” I told her. 17. 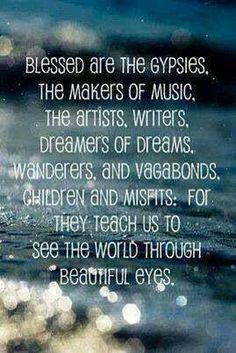 I’ve learned that I have a gypsy soul. And while I may sometimes be envious of my friends’ seemingly quieter, more structured, more “traditional” lives, I can’t deny who I am. 19. I’ve learned that my sons are growing up a lot more “global” than I ever did. I am delighted, grateful and scared to death by this. It gives you a different perspective as a parent when your children are learning things far more quickly than you and speaking a language you haven’t taught them and don’t know. 20. I’ve learned that helping your children adapt to a new culture while maintaining some sense of your own, is not easy. 24. I’ve learned that I’ve never once counted up the number of countries I have traveled to or lived in. Turns out to be 53, so far. I’ve also learned the number of places I’ve traveled is far less important to me than the people I have met along the journey. Loved reading this blog. You are such an insightful woman. Your different answers even made me think of my life and my travels and I was able to somewhat travel in your shoes. Unless one travels and meets people from all over the world, they will never experience what you have. You have always been much too brave for me. Remember you vacuum cleaning job? Going into strange homes at a very early age. Scared me at the time. Please try now to be careful in whatever you do. You don’t have to be the ultimate risk taker. Love, love you.